Come and see Green Trough at RAILcph – The Danish Rail Conference 2017! Our Danish distributor, ACTE, will be exhibiting our Green Trough system on Stand 10. 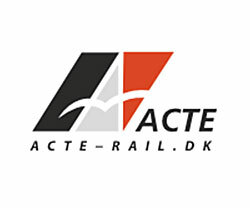 This entry was posted in News and tagged ACTE, ACTE-RAIL, Banedanmark, Cable Trough System, Denmark, Denmark Railway, Exhibitions, Green Trough, Lightweight Cable Trough. Bookmark the permalink.